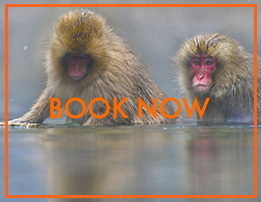 13 day wildlife adventure that offers the most sought after wildlife and landscape photography in Japan. Our first nature adventure starts at snow capped Mt. Fuji, then we venture to a zen territory which is home to the Snow Monkeys. Next is Matsumoto Castle where the world of the samurai come alive. Wow, get ready Hokkaido - Look Up! 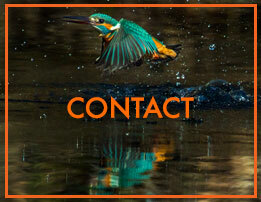 we will photograph the endangered Steller Sea Eagle and Red Crowned Crane. It’s also home to the White tailed Eagle, black kite, whopper swan and other subarctic birds, along with the red tailed fox and sika deer. In the winter of both years, 2015 and 2016 I photographed a herd of over 500 sika deer. This is a rare event and I hope you will also be honored to view such a spectacular site. over 160 kilometers - (100 miles) of pristine untouched coastline for you to explore. Red Crowned Cranes, Kushiro wet lands. •Flights to JPN & from JPN, lunches, alcohol beverages, travel insurance.